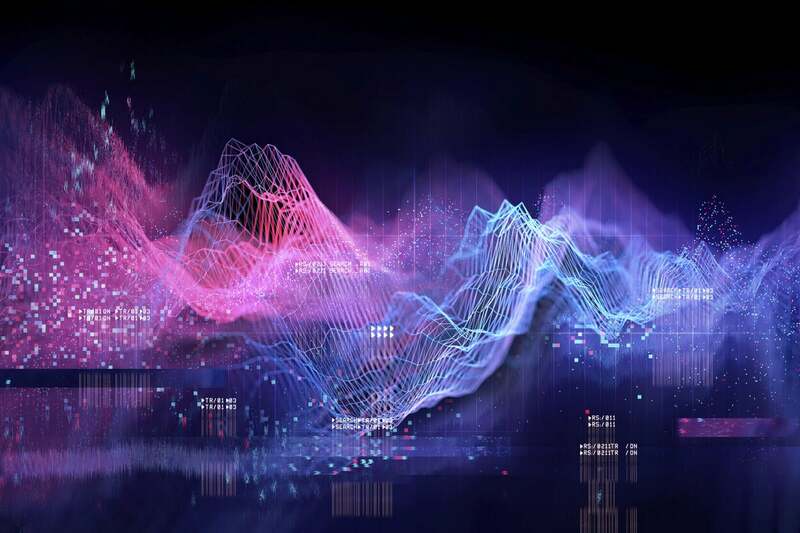 Enterprises seeking to further democratize analytics through self-service business intelligence tools will be heartened by a push by vendors to intersect data visualization and natural language processing. 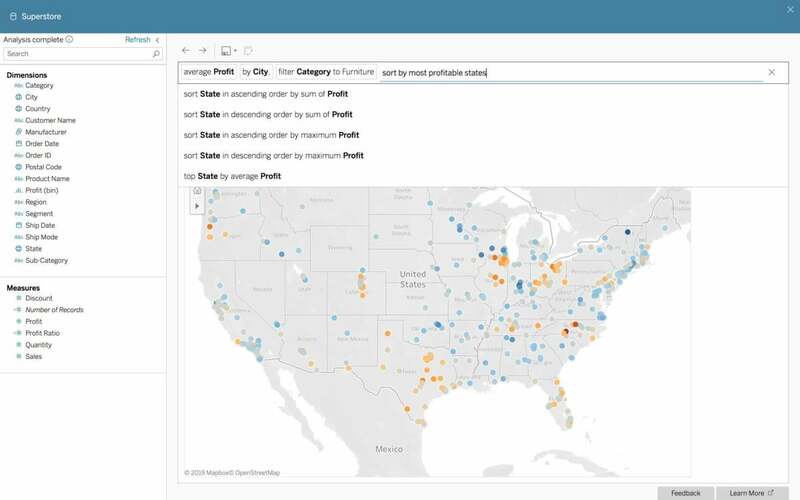 Tableau Software’s 2019.1 update, released Wednesday, is the latest to move in this direction, enabling staff to query data using natural language, and offers a new subscription option for self-service data preparation. Other new features include the ability to export visualizations as PowerPoint files, customizable alerts when data changes, new tools for Tableau administrators and a redesigned mobile interface. For an extra $5.50 per user per month, enterprises running Tableau Server can access the Data Management Add-On, which includes Prep Conductor, a new tool for centrally administering, scheduling and monitoring data prep flows. With it, flows built in Prep Builder, the new name for Tableau Prep, will run in a scalable environment, and IT can use Prep Conductor to manage the flows centrally using the access controls already built into Tableau Server. Later this year, the Data Management Add-On will gain new cataloging capabilities. These will allow users to search for data across the enterprise from a single point, with enriched metadata helping them identify the dataset they need. With the new add-on, “Tableau customers have a more user-friendly alternative to Alteryx, which remains a Tableau partner and good for certain data management use cases such as complex and sophisticated data prep, which are a longtime capability of Alteryx Designer,” said Krishna Roy, senior analyst for data science and analytics at 451 Research. “Tableau customers and prospects also get their data governance, compliance and other data management needs met by the company, which is vital given that data management has become an integral component of a modern analytics platform,” she said. On the front end, Tableau has released Ask Data, a new text-based interface that allows users to ask questions of their data in natural language. It will be automatically enabled for data already held in Tableau, according to the company’s chief product officer, Francois Ajenstat. Tableau Ask Data enables users to create data visualizations using natural language queries. “Part of what we worked really hard to do was to ensure there was no set up required to turn on Ask Data. The data people already have in Tableau automatically become natural-language enabled, and that’s very different from other technologies in the space,” Ajenstat said. For now, Ask Data is strictly a keyboard-and-mouse interface, but the company isn’t ruling out voice control in a future version. “That’s definitely something on the roadmap. Being able to type or to use voice input ultimately becomes the same thing,” Ajenstat said. That simplicity, said 451’s Roy, will make Tableau accessible to a new audience, and provide the company with an alternative to visual-based queries for data exploration, data analysis and discovery. Tableau’s move is part of an industry-wide move to add natural language processing (and also natural language generation) to software to cater to the needs of a growing number of workers who need insights into their data without having the analytical background to use classic analytics software, she said. Last October, Tableau demonstrated a beta version of the new interface at its annual customer event. The company’s visual analytics product manager Andrew Vigneault showed how Ask Data interpreted “whats the total funding” as “sum of Funding” and returned the relevant total from a database of Kickstarter projects. More impressively, given a bar chart of project categories ranked by number of successful projects, Ask Data was able to decode Vigneault’s request to “correlate with avg fudninng” (sic) and generate a scatter plot of number of projects against average funding for the different subcategories. Over the three months of the beta test, Tableau has had the opportunity to polish Ask Data’s responses based on customer feedback. “There were a lot of questions around time, which is always very hard: ‘Today, this month, recent,’ how people express these. But mostly it’s colloquialisms where people ask for things like ‘expensive’, and sometimes expensive can be good, and sometimes it can be bad,” Ajenstat said. This story, "Tableau adds natural language interface, streamlines data prep" was originally published by CIO.